But ICTs play an increasingly important role in agricultural value chains. 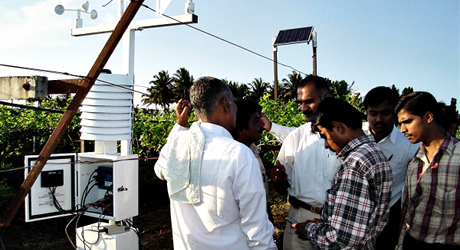 Though important, cellphones aren’t the only ICT being used to improve agriculture. ICTs encompass radios, digital cameras, geographic information systems (GIS), cloud computing, tracking mechanisms, etc. The increasingly important role of ICTs in agriculture can help change the face of the sector (from outmoded to cutting edge). In fact, it should form part of the larger thrust to attract more young people to the sector. 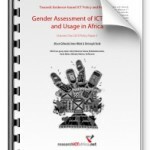 In a resent blog I contend that there’s a strong link between ICTs and general youth employment. Agriculture is no exception. ICTs offer employment opportunities in the sector that are both attractive to young people and are in demand. I recently reviewed two unpublished labor market surveys for Rwanda and Kenya that confirms this. The interesting bit of the research is that while less than a third of the youth surveyed expressed an interest in ag jobs, more than 40% saw opportunities in ICT related areas (not including ag). Clearly, showing the link between the two (ICT and Ag) should be a starting point. Three ICT-enabled functions that are in demand by industry and appeal to young people are agriculture input sales, logistics tech and agricultural infomediaries—the latter being the most cited, perhaps due to the well touted successes of M-Kilimi (M-agriculture), Esoko and others. 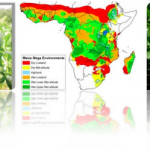 The rationale for Ag infomediaries, which enable quick access to information databases that were previously unavailable, best underscores how ICTs have improved agriculture in some places. The basic concept is that the economic livelihood of farmers has been hampered by ad hoc marketing systems and broader issues of information asymmetries for centuries. In other words, poor communication between producers and buyers results in inadequate planning, and ultimately an unstable market environment. So, In much the same way the global economy is driven by knowledge, agriculture depends on high quality, reliable and efficient information systems. While the full impact of ICTs on ag is subject to research, there is compelling evidence about successful use of technologies in the sector. How Is Technology Causing Breakthroughs in Youth Economic Opportunity?